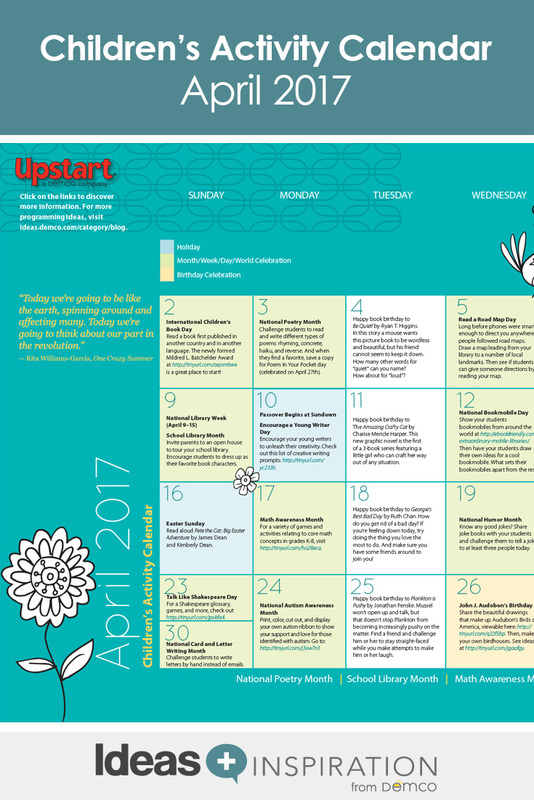 It’s not an April Fool’s prank — this month’s calendar is jam-packed with activities and book suggestions that will get kids excited to visit the library! 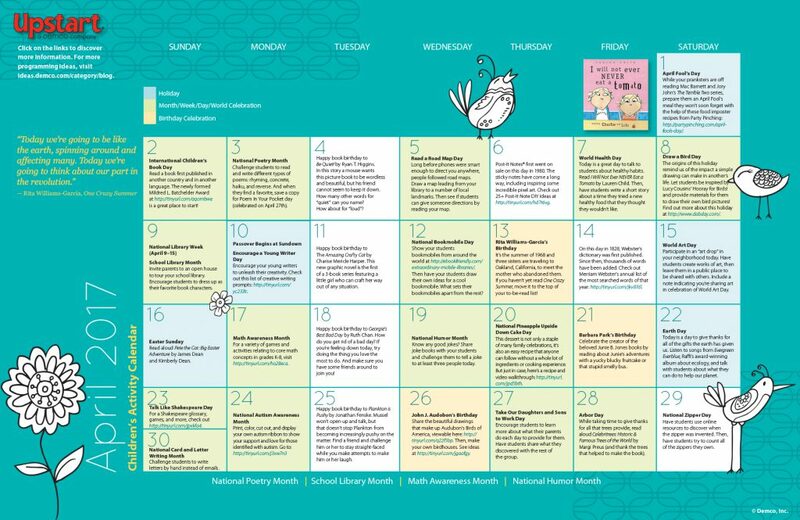 Not only is April School Library Month and National Poetry Month, but it’s also filled with unique holidays like Draw a Bird Day and Talk Like Shakespeare Day. Thou must grabeth a good book and get ready for a fun-filled April!